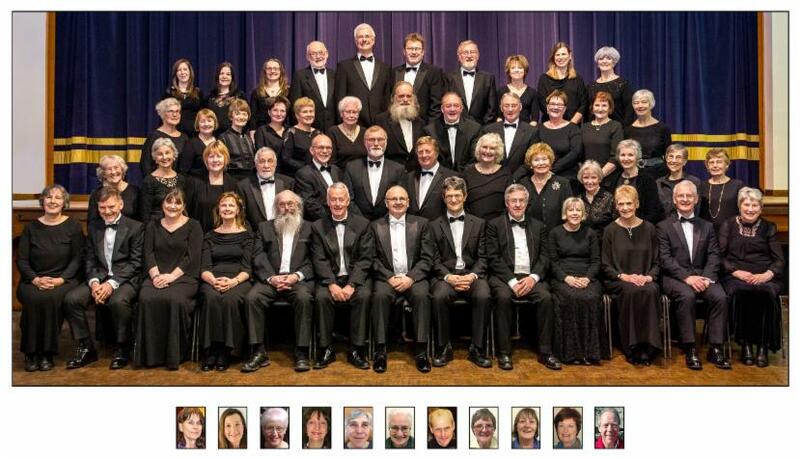 "The Stonehaven Chorus" is a mixed voice choir of around 60 people from a wide range of backgrounds. Most of the singers live in and around the coastal town of Stonehaven near Aberdeen in Scotland, but a number travel from further afield. From August till June we rehearse weekly in Mackie Academy, on Mondays at 7.30pm. Our recitals take place in Stonehaven in December and May each year and we often organise additional recitals in Aberdeenshire, or further afield. In recent years The Stonehaven Chorus has travelled abroad on tour to perform concerts in Hungary in 2017, Iceland in 2012 and in Germany in 2009, including a performance in the "Dom" Cathedral in Cologne. We have also toured many areas of the British Isles and enjoyed most responsive audiences. Closer to home, we involve ourselves in musical and community events, sing at weddings and special occasions, charity concerts, plus various social and fund-raising events in and around the area. Ralph Jamieson was appointed our Principal Conductor and Musical Director in 2014, following a long association with The Stonehaven Chorus. Ralph is an established Choral and Orchestral Director - he has been conducting since the age of 14 and has developed a very extensive repertoire. Mainly working in Scotland, he has also trained and conducted choirs on several occasions abroad. Ralph is a passionate educator, with a career spanning thirty-three years in Secondary Education. Recently retired from his post as Principal Teacher of Music, he continues to teach privately from his Education Studio in Brechin. He is also a member of the International Theory Panel for the Associated Board of the Royal Schools of Music. Always a popular adjudicator and examiner, Ralph enjoys working with the Scottish Qualifications Authority as an examiner in Musical Performance and also judging musical festivals and competitions. The Stonehaven Chorus looks forward to gaining variation and greater accomplishment through his creativeness, experience and guidance and broadening the already extensive repertoire of unaccompanied and accompanied choral works built up and led by its previous conductor, Dr John Hearne who retired in May 2014. John retains his connection with The Chorus as "Conductor Emeritus"
In past years, "The Stonehaven Chorus" has made a CD of some of its favourite music. Are you planning a wedding or special event?